In order to sell out one’s country, it takes a great deal of either greed, hubris, ignorance, or a combination of those traits. While Michael Flynn pleaded guilty to lying to the FBI, one of his core crimes came from seeking a fortune by offering to assist not only the Russians, but also to be part of a deal to sell nuclear technology to the Saudis. Donald Trump’s former campaign manager, Paul Manafort, is likely to die in prison, and provided his expertise to pro-Russia Ukrainians in order to make millions. While we are taught from a young age that crime doesn’t pay, and that we should always strive to follow the law, it appears that crime does pay for the Trump regime, at least temporarily. As Palmer Report has documented, the worst decision Trump ever made was running for president. With Trump’s combined hubris and incompetence, which started at a young age from the constant assurance of being told that the law does not apply to him, he felt that he was untouchable. Following decades of laundering money through his now failed casinos, Trump believed that he was untouchable. Much like a “made man” in the mafia, Trump assumed that his history of skirting the law would also result in a life that would provide him unfathomable wealth and fame. 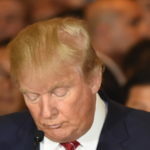 Trump advanced his good fortune, despite multiple occurrences of utter business failure, in the hope of finding a way to advance his proposed good name in order to further advance any sort of financial promotion. Donald Trump has only cared about one thing – money. When Trump descended the escalator just prior to his 2015 announcement declaring his goal of the presidency, it was only to increase his perceived value. Through lies, interference, and treason, Trump found himself in a position he never expected – the presidency. While this was never the plan, he sits in the Oval Office, often not getting there until the afternoon. While American democracy could have been subverted by a number of reasons, it’s clear that one of them was ignorance.